St Paul Church is seeking a part time salaried secretary/bookkeeper. Working hours of 15 hours/wk are flexible . Computer skills with knowledge of word processing, spreadsheets and bookkeeping required. Job description, pay rate and more details available by contacting Pam Shallenberger 217-714-4568 or Fr Tom Barrett 618-658-4501. Parish School of Religion (PSR) for Pre-School (age 3 and older) through 8th grade will begin at St Paul on Sunday, Sept 16th, 11 am-Noon in the Parish Hall and will continue each following Sunday. A parent component will be held each month. Registration at the parish office (658-4501) assures that class materials are available for participants. Rite of Christian Initiation of Adults (RCIA) will also be offered to anyone who is interested in learning about the Catholic Church with the option of becoming a member. 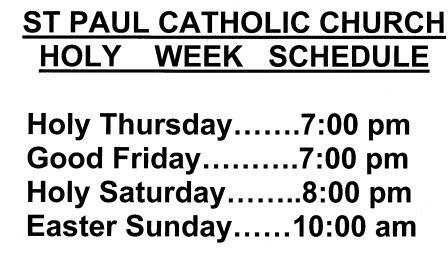 Sessions will begin on Tuesday, September 18, 7-8:30 pm at St Paul Parish and continue weekly. 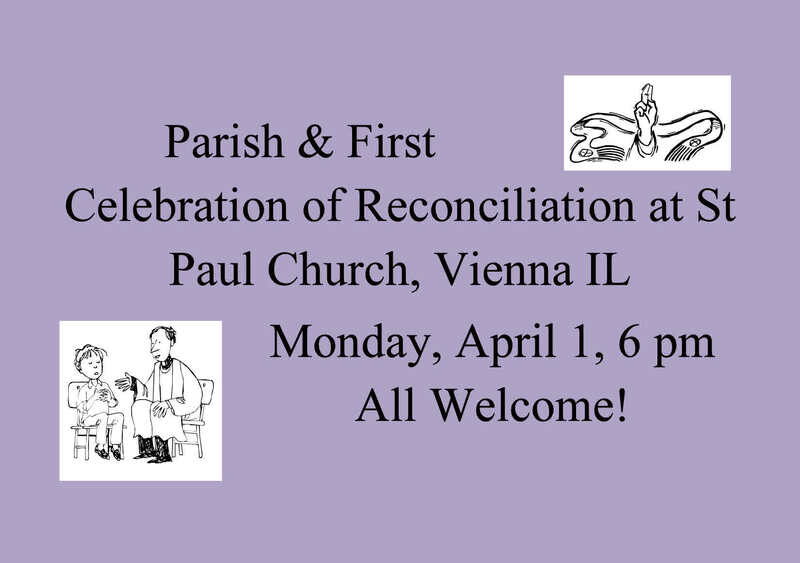 For more information and to assure study material, contact the parish office (658-4501).